'...a suspenseful jigsaw of a story that doesn't fall into place until the final long held secrets are brought to light' (Beauty and Lace). In the tradition of the bestselling Red Dust, Suddenly One Summer is a brilliant rural story by leading author, Fleur McDonald. When Brianna Donahue was three years old, her mother mysteriously disappeared while farming in Merriwell Bay, Western Australia. Her body has never been found. Brianna works the same land with her father Russell, while almost single-handedly raising her two children as her husband Caleb works as a fly-in fly-out criminal lawyer in Perth. One scorching summer's morning, her son Trent goes missing and, while frantically searching for him, Brianna must come to terms with the fact that her marriage has large cracks in it. Over two thousand kilometres away in South Australia, Detective Dave Burrows receives a phone call reporting stolen sheep from an elderly farmer. When he and his partner Jack arrive at the farm, it's clear that Guy has early signs of dementia. Following a conversation with his wife Kim, Dave becomes intrigued with Guy's family history. Was there a sister, or was there not? No one seems to know. So how will Dave's investigation impact Brianna's world? While battling the threat of bushfires back in Merriwell Bay, Brianna is faced with challenges that test her relationships with those she loves most. Suspenseful and incendiary, Suddenly One Summer is an intriguing and heartfelt story of the unlikely connections of life on the land. 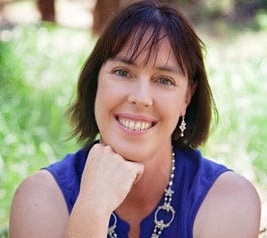 Fleur McDonald is one of Australia's leading rural literature authors, with her books becoming best sellers almost as quickly as they hit the shelves. She has solidified her position as one of the country's favourite storytellers. Fleur draws inspiration from having lived and worked for much of her life on a farm – including early life on her parent's property in regional SA, and more recently on her 8000 acre property in regional WA. Fleur's much-loved Detective Dave Burrows has his first feature novel with Fool's Gold being released in April of 2018; and her twelfth novel, Where The River Runs, will be available in November 2018. Noisy Nights, the first of two children's books was published by New Frontier Publishers in August 2016 and the second, What does a horse Say? has recently been released in August 2018. She lives in Esperance, WA with her two children, Rochelle and Hayden, a Jack Russell terrier, Rocket.